Hey guys. 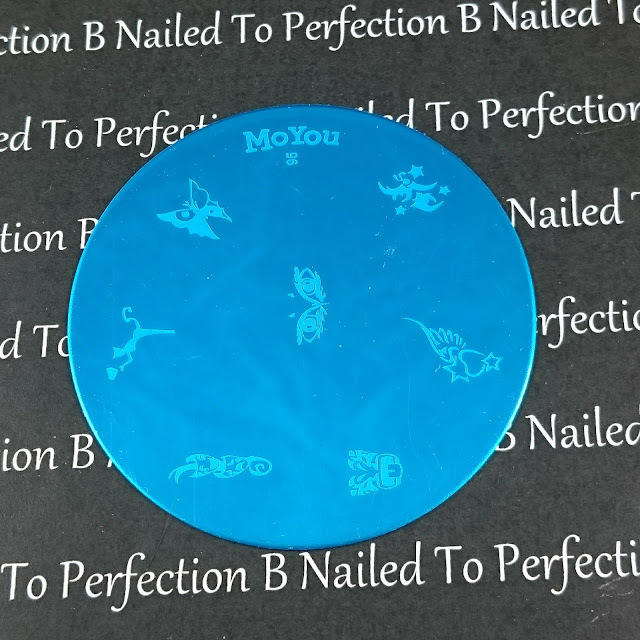 I was recently contacted by MoYou Nails to see if I wanted to provide an honest review on some of their stamping products. As you know I love stamping so of course I said yes! Here are all the images stamped onto some white card. As you can see they all picked up really well, nearly perfectly! I didn't have to prime either stamper which is a bonus. 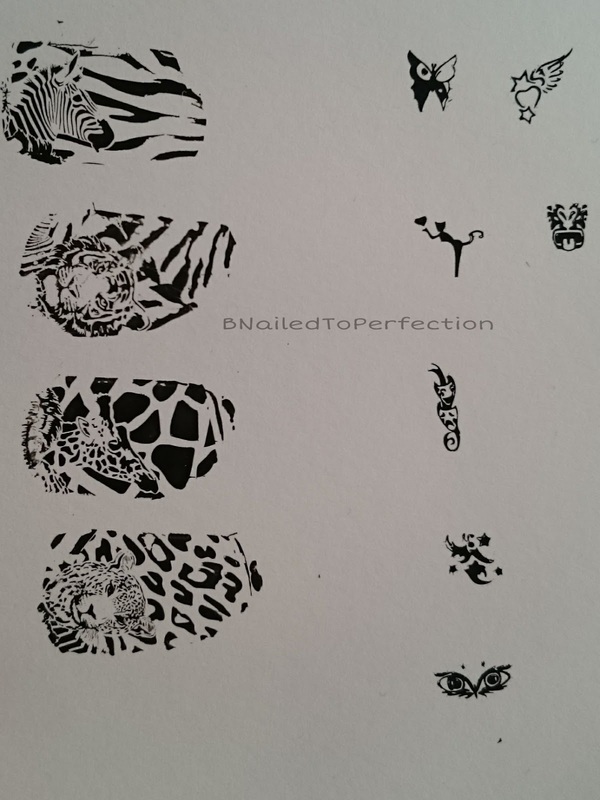 I used the Square Stamper for the full image plate and the Round Stamper for the small random images. 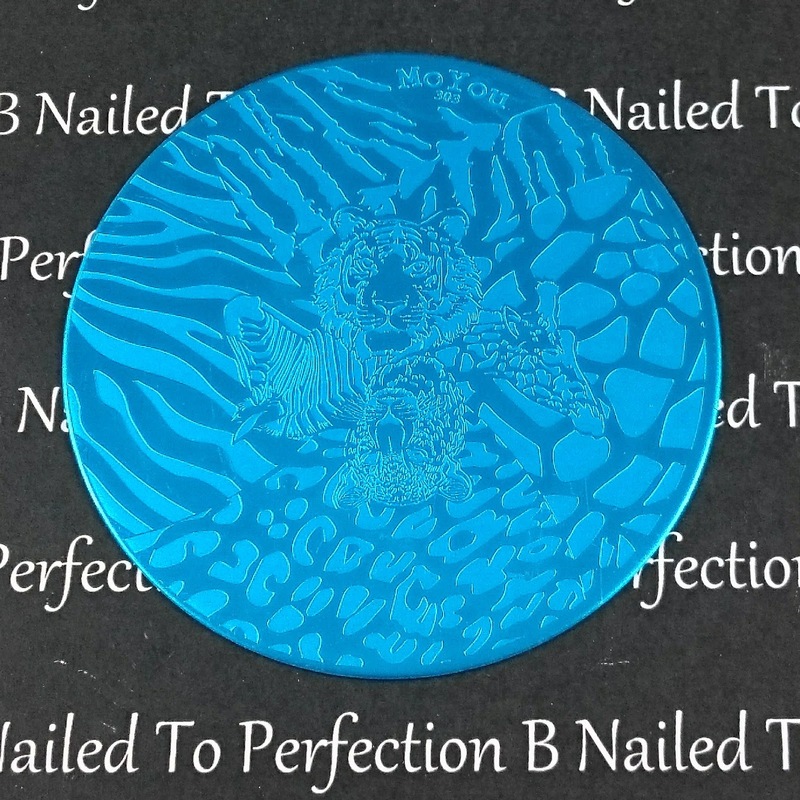 The one thing about the stampers that I didn't like is that they are quite firm and I am used to using very squishy stampers. Normally I press my nails into a squishy stamper so I can get the image more centralised but I would not recommend that with these as it would put too much pressure on your nail. You need to use a rolling motion. Plate 303 is a full design plate which is Safari themed. On the plate this is a Zebra, Tiger, Leopard and a Giraffe, including their beautiful markings. 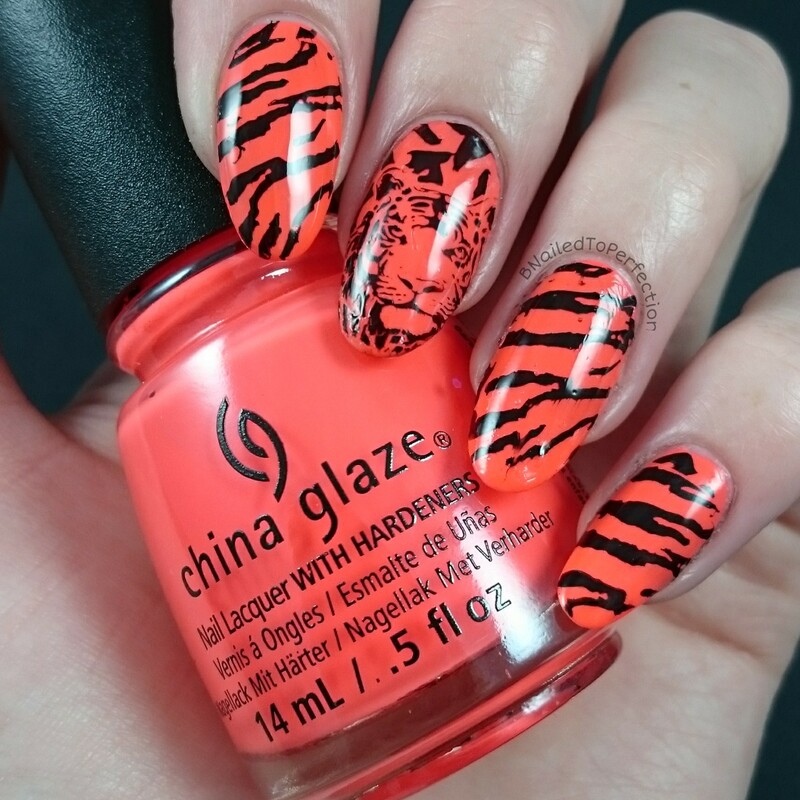 I really like the tiger image so I used that it a full manicure with China glaze Red-y To Rave to make a neon tiger....gggrrrrrr! For the ring finger and middle finger I used the decal method. I wanted the tigers face in a certain place and I knew I wouldn't achieve that by rolling. It's a little bit smudged on the ring finger as I went over it too many times with top coat! I tried rolling the stamper on my other nails and that came out really well. Top coated with HK Girl Fast Dry Top Coat. Plate 95 has 7 small random images which includes a butterfly, eyes, masks and others. 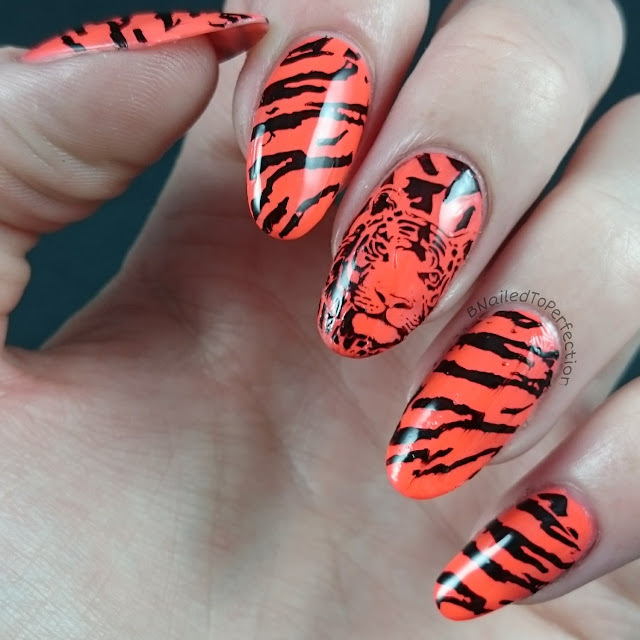 I am not used to these types of plates so I was unsure what mani to do with these. I used Sky Blue by Barry M and stamped some butterflies with the pink nail polish. This pink polish is quite light and I tested it out over black polish but it wasn't very visible. It stamped really nicely over this light blue and it had no issues picking up. Overall I am really impressed with the quality of these products. I think they are perfect for beginners or advanced stamping addicts. 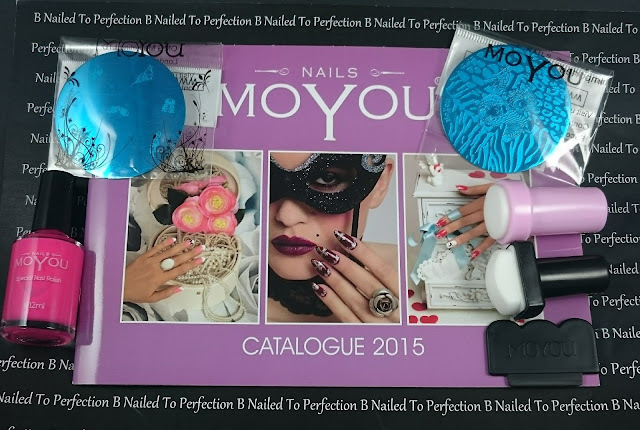 Don't forget to check out the MoYou Nails to see more of their plates and polishes. What do you think of these products? Have you tried MoYou Nails before?